One of the earliest poster children for mainstream mobile gaming success, Angry Birds has come a full circle. From a being a smartphone game to a movie, there’s now a game to celebrate the movie’s release. It’s available on Android and iOS right now. And unlike Sony’s Ratchet & Clank reimagining on the PS4, it utilises augmented reality (AR) to a large degree. Dubbed as Angry Birds Action!, Rovio has partnered with AR firm Zappar to bring the titular Angry Birds to life. Using Zappar’s zap code tech, fans can scan codes to unlock characters, AR mini-games, photo-features and a whole lot more in the way of interactive experiences. “Imagine if everyday objects could unlock fun and exclusive content when scanned with a mobile device. With Angry Birds we’ve done just that– working closely in partnership with Rovio we’ve been able to deliver a hidden world of stackable experiences and in-game power-ups via BirdCodes on participating products and promotions to surprise and delight users,” said Caspar Thykier, Co-founder and CEO of Zappar. “This is the biggest and most truly integrated augmented reality project to date, with BirdCodes appearing on apparel, toys, cups, POS, and even candy dispensers across the world. Together with Rovio, we’ve set a new bar to bring AR to the mass market in a meaningful and rewarding way,” Thykier added. “With the help of Zappar and our other partners we have put the Angry Birds characters and story at the centre of a truly 360-degree experience this summer, bringing the story world to life in a new way both for our heavily engaged fan base and newcomers alike,” said Miika Tams, VP Games at Rovio. “Angry Birds Action! is the cornerstone of our comprehensive Digital Movie Program, which bridges digital and physical entertainment like never before, and with more than 1 billion BirdCodes to be found out in the wild, at a scale never seen before either,” Tams said. Some of the places you can claim these BirdCodes includes McDonald’s and H&M. While it’s unclear at this point of time if this promotion would make its way to India as well, Zappar does claim it would take place in 50 markets across the globe. 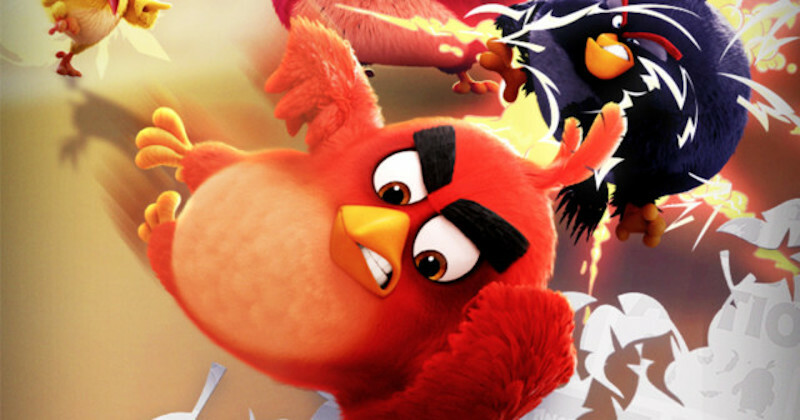 While Rovio’s past few quarters have resulted in a spate of layoffs, hopefully its much-awaited movie release should stem the tide. Angry Birds isn’t as popular as it used to be and without a massive follow-up in sight, diversifying the brand across other media such as movies seems like the shrewd way forward.